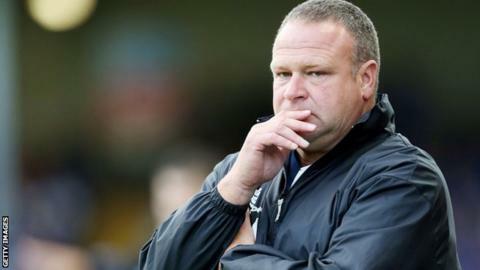 Lincoln City boss Chris Moyses says his side have "strong character" following Tuesday's victory at Braintree Town. Moyses says rigorous pre-season team-building exercises have contributed to his side's strong start, with four points from two National League games. "When we went to the army camp we talked about being robust. We're tough to break down and we're men," Moyses, 49, told BBC Radio Lincolnshire. "It's early days but we know we've got strong characters." However, the Imps manager is not getting carried away and insists that his team will remain grounded, adding: "We've just got to go one game at a time. "We're still improving and still knitting together, and we've still got to find a formation that works best for us."